When our pals at GIRLSCHOOL reached out to us to help them create some artwork for their upcoming Red Bull Sound Select show in LA we were all like, yassss queen! To be honest, we were also probably drinking Redbull at the time. 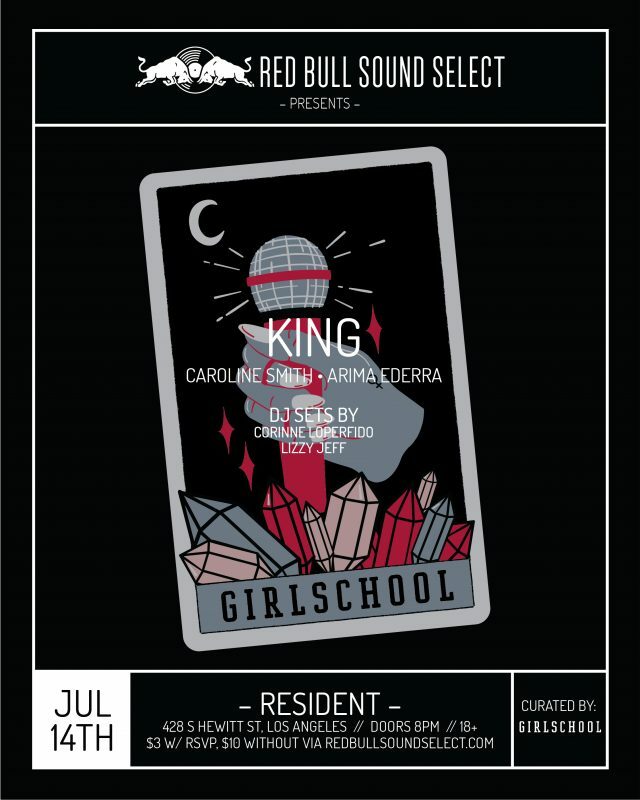 We’ve always been huge fans of the community behind GIRLSCHOOL and were thrilled to take part in their latest collab with Red Bull Sound Select. Our very own Sage Pizza created some artwork for their July 14th showcase featuring performances by: KING, Caroline Smith and Arima Ederra + DJ sets by Corinne Loperfido and Lizzy Jeff at Resident in DTLA. If you’re in the LA area you can find out more and RSVP for the show here!